I had a really wonderful experience on Etsy recently, and here is the outcome. 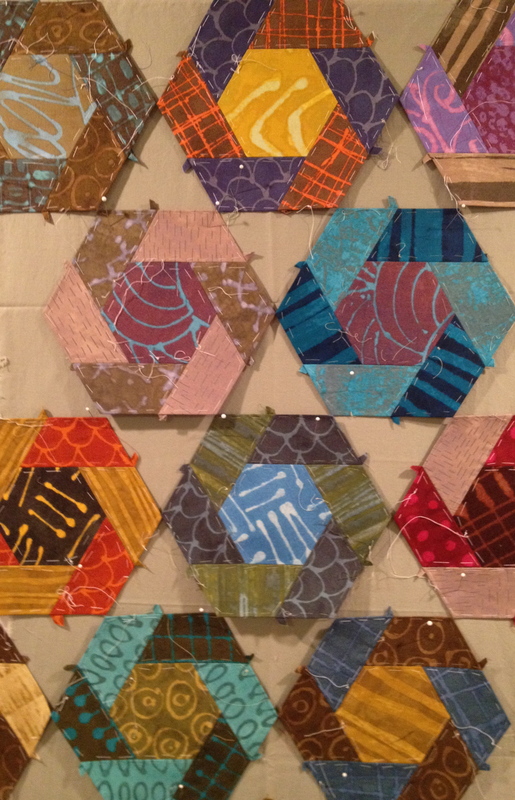 I am always looking for simple quilt patterns that I can use to make kits for EBHQ’s Children’s Quilt Project for donation to needy kids around the Bay Area and beyond. 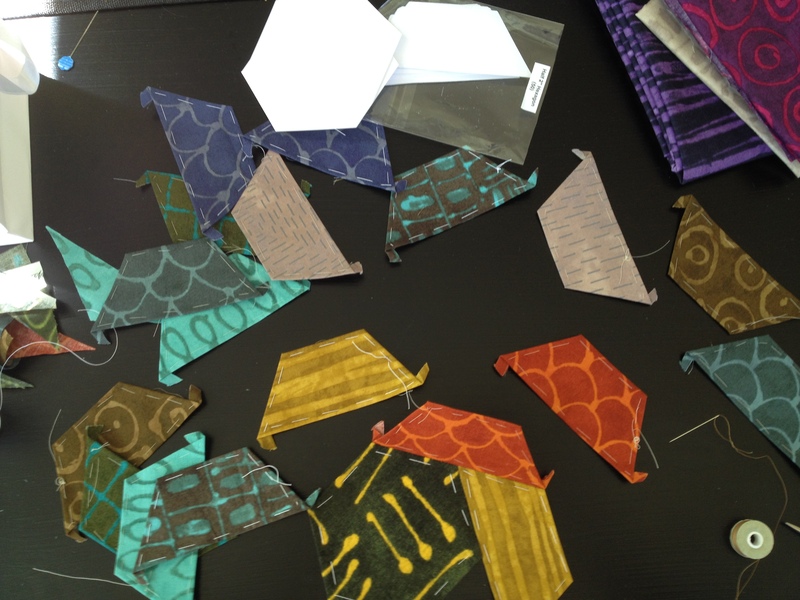 These kits are made from donated fabric, and guild members sew them, quilt and bind them, and distribute them to all sorts of organizations that deal with kids that need a cuddly wrapper. Sooooo, while shopping online at Etsy, I found a great quilt I could adapt to a smaller version for our purposes. Sue Pfau of the sweetjane Etsy shop was wonderful; she gave me permission to use her great Between the Lines pattern for our guild kits. Check out her shop and the pattern here. 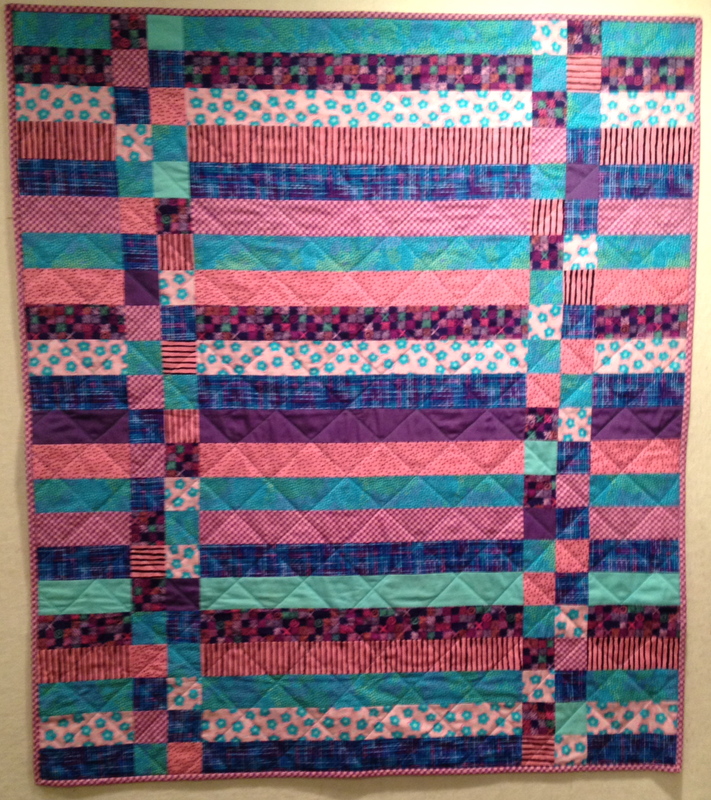 The original pattern uses a jelly roll of fabric, 40 cuts to make a large quilt. 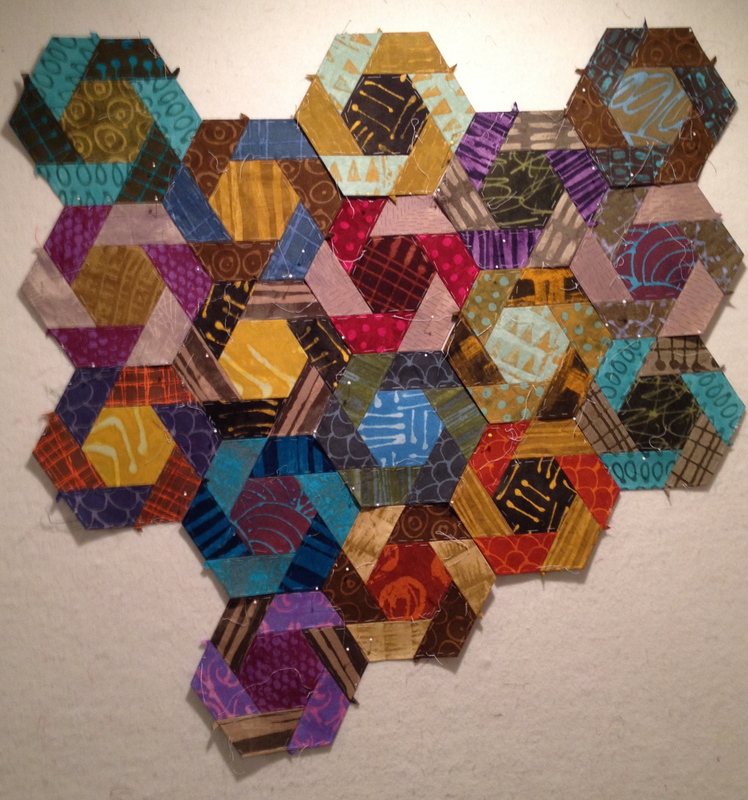 My version ends up measuring 38″ x 44″, and uses 22 cuts x the width of the fabric. Here’s my first run at the adapted pattern, with its speedy, slightly weird quilting that I hope a 3-year-old might not notice. Check out Sue’s shop, which is now one of my favorites. I had the privilege of vacationing in Ashland, Oregon for a week of relaxation and five great plays at the Oregon Shakespeare Festival. 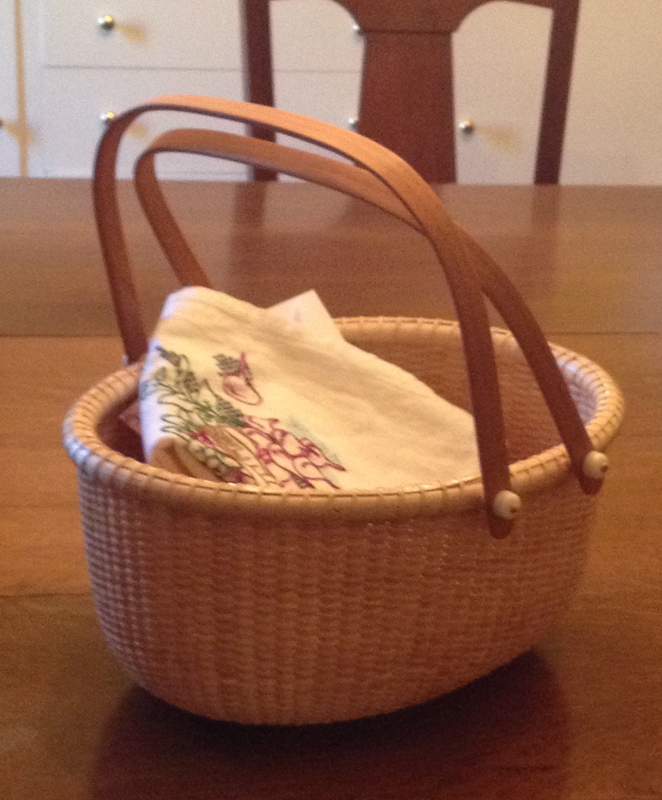 The only difficulty was that I mistakenly left this lovingly-packed basket of travel handwork projects on my dining room table. Nooooooooooooo!!! The error was noticed immediately, when I wanted to relax at the cottage we had rented. I wonder if anyone else would feel lost without something to keep the creative fingers entertained. Soooooo, bright and early the next morning, I headed off to Sew Creative, an exciting quilt store on Main in Ashland. 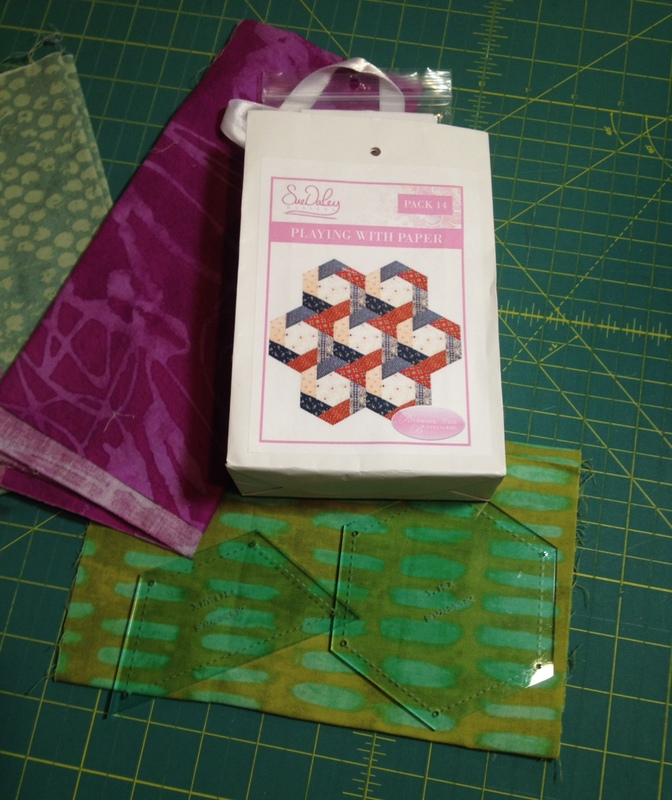 I found this cute kit for paper piecing, which included a handful of pre-cut papers, as well as heavy plastic templates for cutting the fabrics. I also bought a bundle of Marcia Derse fat quarters, needles, some thread, and a few pins——-PROBLEM SOLVED!! Progress by Day Three, peacefully working on the screened porch—very relaxing. Now that I am back home I realize that I have created a monster. Firstly, how did this project jump to the top of the To Do List? Others have been waiting patiently, some for years. Secondly, having chosen these very dramatic fabrics, how do I get them to play with each other without fighting? I think these blocks look too crowded, although I really do like some of the triangle shapes that are created where the three hexagons meet. Squint to see these. I think these blocks will need to be separated. Thus, thirdly, what can I possibly use to separate them that also does not fight with them? My current solution is to keep making more blocks and hoping that things will all work themselves out eventually. That’s about all the planning I can hope for right now.